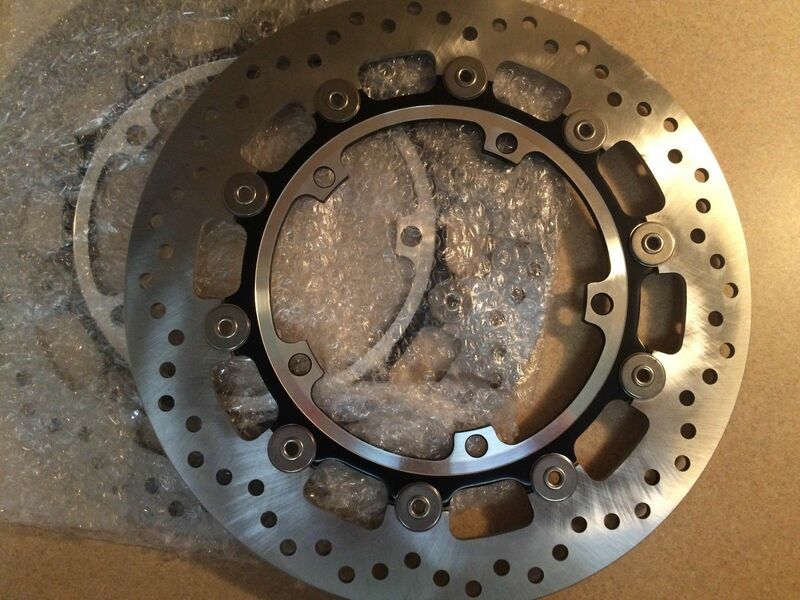 I have a set of brand new never used rotors for 2011-2015 speed triple and speed triple R's limited vin range starting 602553 and up for R's only, i purchased to put on my spare wheel for the track to swap between street and road but im going to be getting another speed triple for just the track and keep this 2011 i have now stock and street ready. I have the front wheel for sale as well but i would have to dismount the tire(or leave it on its a used metz tire on it) and send i currently don't have that ready to ship but if anyone is interested on a side note please email or private message me(maybe 200 free shipping ?). I'm looking to sell the pair together for a combined price of $250 with free shipping(UPS) or best offer need gone really to fund my new race bike! 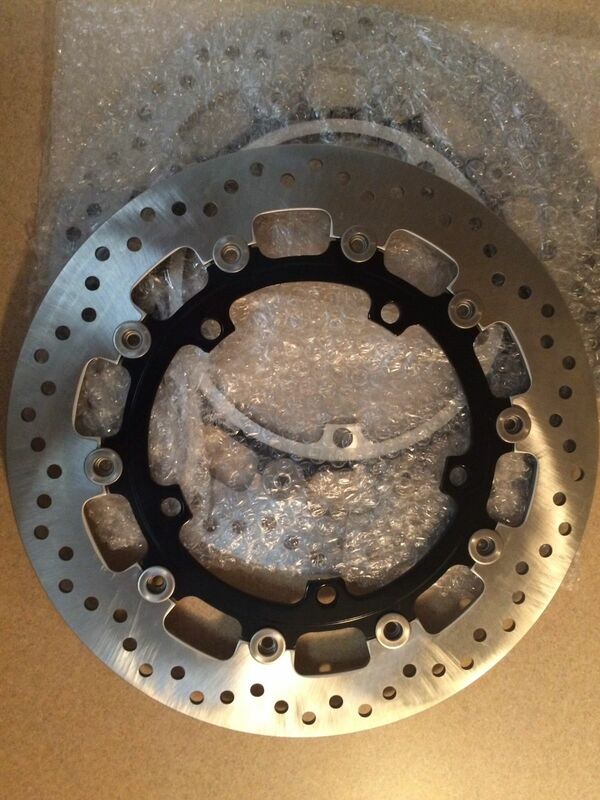 I could do 200 Obo shipped on the rotor set if anyone is interested? 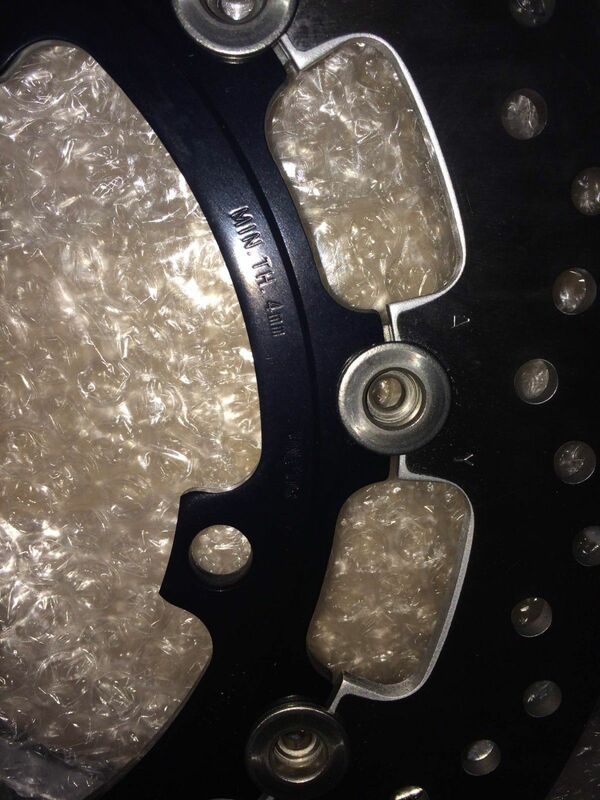 One fellow speed triple rider to another free shipping as always and a front wheel for 100 shipped to? Also have rear turn signals for free with purchase of rotors to a good home as well if someone needs a replacement? Cheers everyone! Thank you for letting me post up here, the rotors for the pair with free 3 day shipping 120 OBO shipped to your door. cheers!